The Casio SES400 retail cash register. A new design with multiple functions, probably the best partner for your store. The Casio SE-S400 has a 10-line display for maximum effciency and viewability during checkout and program setting. The display features a tilt mechanism to adjust view angles, and the back-light enures accurate operation in the dark. The cash register with stroke keys features up to 3000 products/PLUs and up to 2x25 commodity groups that can be accessed directly, meaning it can be used in a number of establishments such as retail stores, cafés, restaurants and many more. Registration with a scanner is also faster and avoids potential errors associated with manual entry. The SE-S400 comes with a large money drawer, the large cash drawer features eight coin and four note compartments. 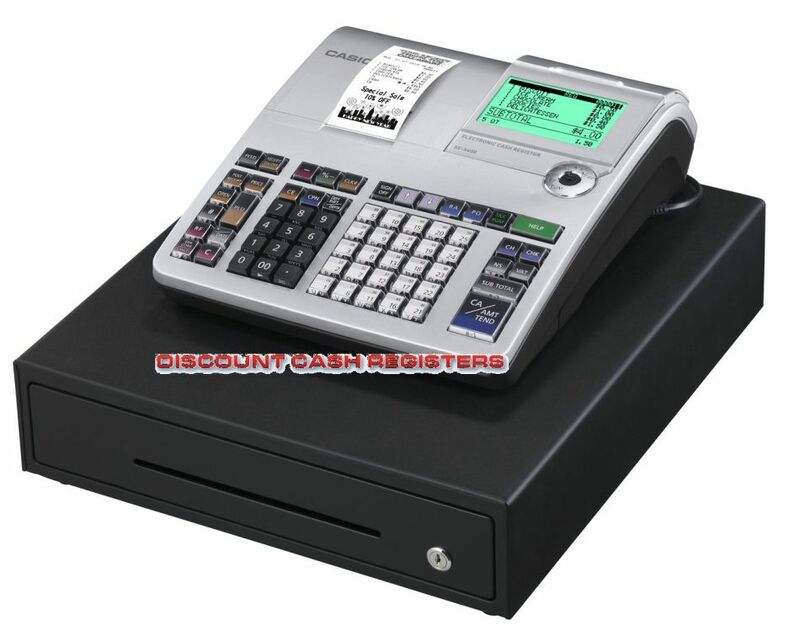 Casio SE-S400 Electronic Cash Register.